Lot:3050 1851-C Liberty Head Half Eagle. VF Details--Cleaned (PCGS). 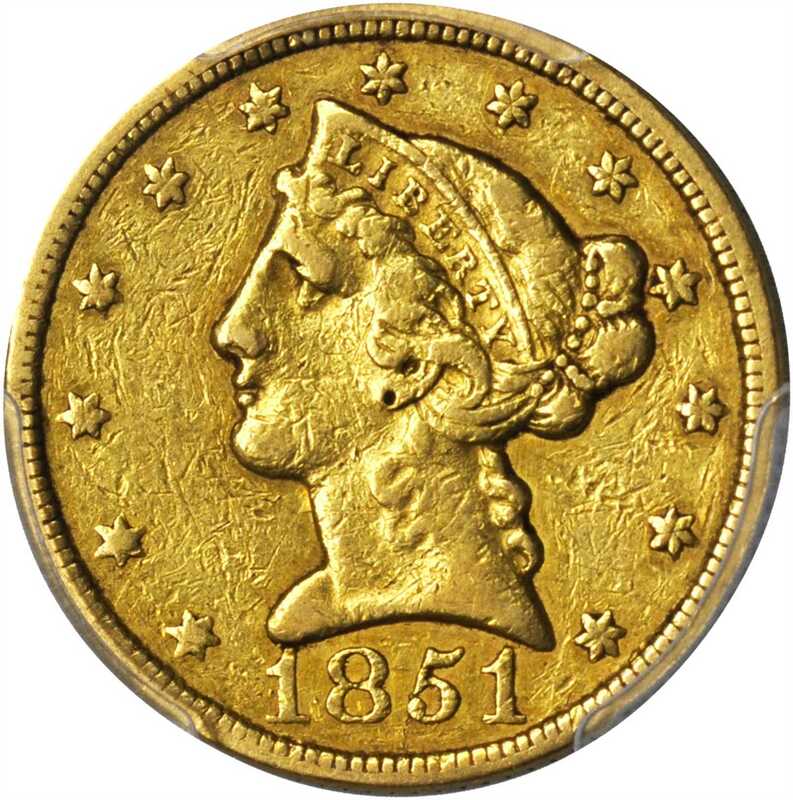 1851-C Liberty Head Half Eagle. VF Details--Cleaned (PCGS).A more affordable example of the scarcest Charlotte Mint half eagle from the 1849 to 1853 era.